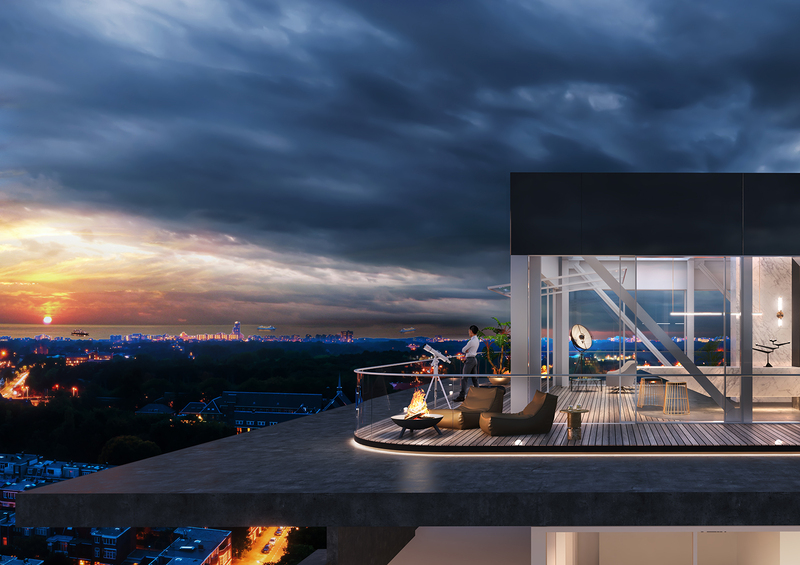 OD75 is a redevelopment project that transforms an old Shell office in Amsterdam into a residential property. 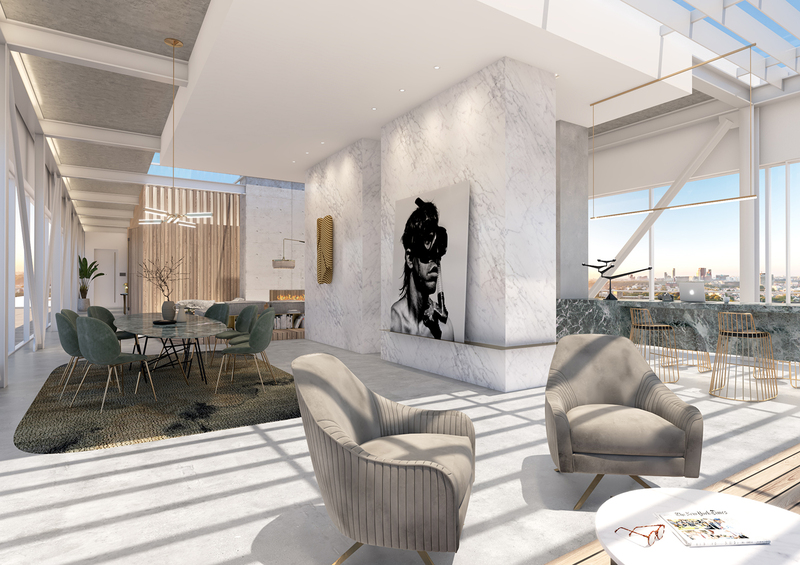 We designed the interior for the building’s luxury penthouse, located on the brand new rooftop with floor-to-ceiling glass walls and panoramic views. 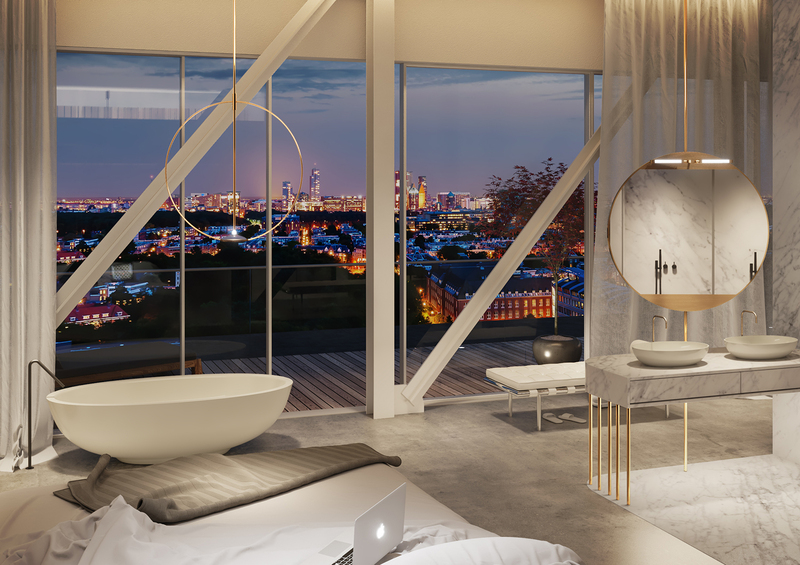 The interior is a contemporary take on luxury, with a mix of everyday and premium materials, ranging from thick wood, concrete, marble, brass and velvet. Grand bold gestures visually zone the space, creating a “landmark” for each area. 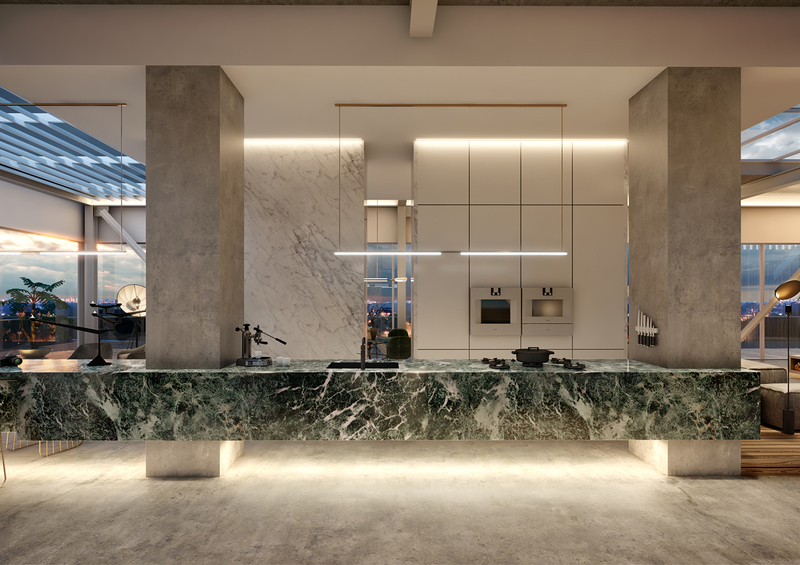 A continuous marble block transitions from a kitchen into a bar overlooking the cityscape to create a flexible leisure, eating and working space. A large dining table sets the area for private gatherings, anchored by TANK’s custom-designed TNK.01 chandelier. 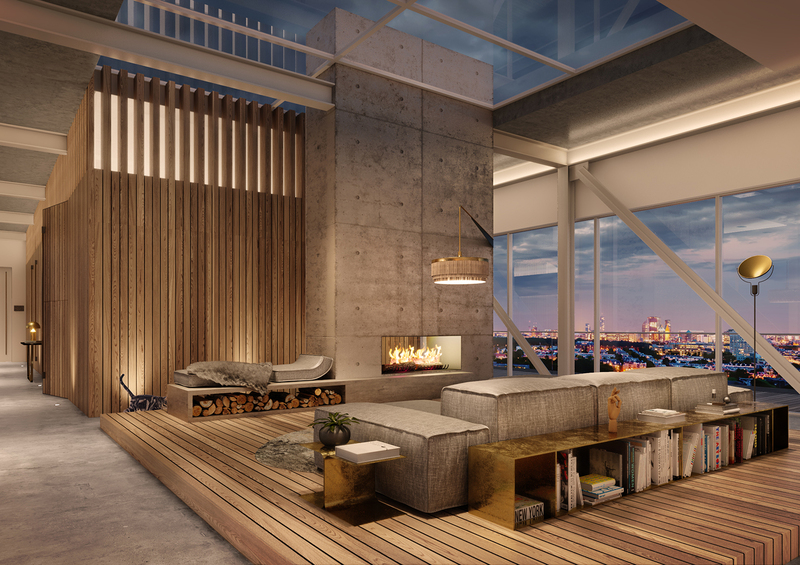 Positioned on an elevated wooden platform, the open living room features a generous sofa, complemented by a modern fireplace that adds a cozy touch along with a seating nook for reading and lounging. The bedroom is a wellness sanctuary with stunning views, complete with a sumptuous bathtub and vanity table. During the day, the open space brings in the light and an airy outdoor feel. At night, an articulated lighting landscape creates different moods throughout the house.